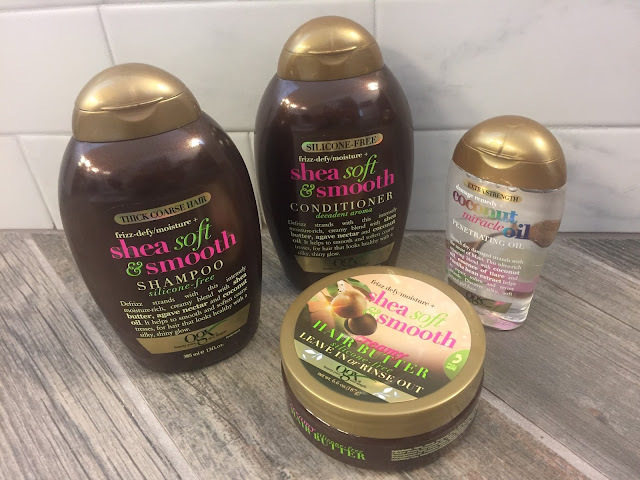 OGX's NEW Shea Soft & Smooth Line! 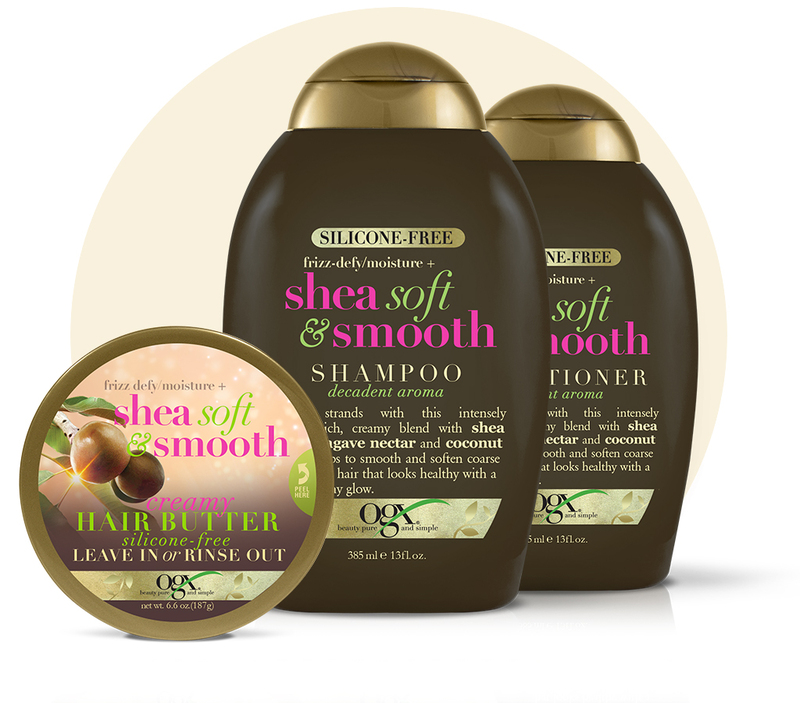 This collection is an entirely silicone and sulfate free hair care line. It intensely moisturizes dry and thick hair while it works to de-frizz your hair and leave your strands smooth. The formula is a super creamy blend that contains ingredients like shea butter, agave nectar, and coconut oil. This line helps to smooth and soften your coarse hair. It leaves my hair beautifully scented and makes it look healthy and shiny. This collection contains a Shampoo, Conditioner, and a Hair Butter (leave-in or rinse out). I use these products together. I shampoo, then apply conditioner, and then use a touch of the hair butter as a leave in. This combo has really helped my dry and damaged highlighted hair! It makes my hair much easier to comb out and leaves it shiny and nourished. I am really impressed with these products! Shea Butter: with a high concentration of natural vitamins and fatty acids to help deeply nourish and moisturize strands from the inside out. Agave Nectar: is know to be a natural wonder in soothing humectant hair and helps provide moisture and lustrous shine. Coconut Oil: naturally high in fatty acids, the formula helps increases moisture and lipid content in hair, making for the ultimate hydration boost and re-invigorating damaged strands. OGX Frizz-Defy/Moisture + Shea Soft & Smooth Shampoo, Conditioner, and Creamy Hair Butter are available for $7.99 each at Ulta, Walgreens, CVS, Target, Walmart and other major retailers.